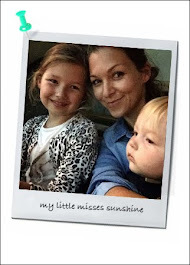 Last Saturday we spend a lovely family day at The Ritz Carlton Dubai. We loved the laid back atmosphere, the lush property, the gleaming white sandy beach and wonderful service of the attentive staff. The Ritz Carlton is a fantastic option if you are looking for a family friendly resort sanctuary to unwind and relax without having to leave the city. 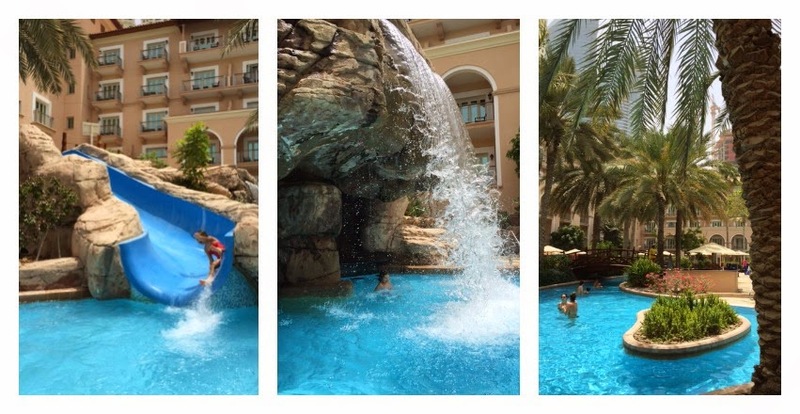 We spend most of the morning by the one of the two family pool, splashing under the waterfall, going down the water slide, enjoying the sunshine or chilling under the palm trees. There is also an adult only pool with a beautiful lounging atmosphere and a pool bar to indulge in cocktails - not to be missed while kiddos are at the KidsClub. Lunch was perfectly set up on the terrace of Caravan restaurant located at the center of the resort close to the KidsClub. The buffet is elaborate but not overwhelming, it offers a perfect selection of dishes and takes you on a culinary journey all the way to India, Arabia and the Mediterranean. Have you read our “Rotisserie Friday Brunch” review? Read it here! It's a great organic farm-to-table experiences with seasonal ingredients and vegetables fresh from the country’s selected local farms. After lunch Luella enjoyed some fun activities at the KidsClub. 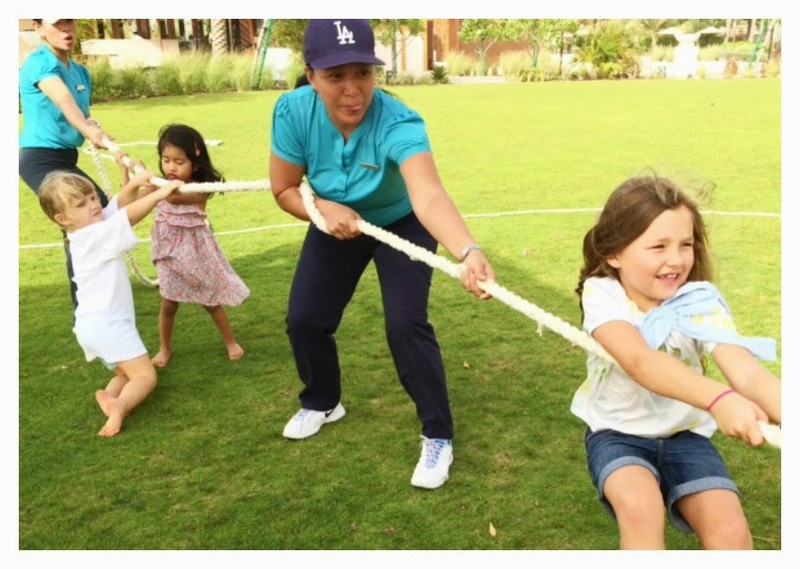 The Ritz-Carlton’s children’s programme - takes over the little ones with a collection of inspiring, educational and most importantly engaging activities. From smoothies making, cookies decorating, art&craft, it was all fun indoor during the warmer hours of the day. Then it was time for fun outdoor games and treasure hunt in the garden to satisfy their curiosity, stimulate the mind and burn energy. Wonderful way for children to create memories. We also heard about movies under the stars, camel rides on the beach and encounters with falcons, something to hopefully try out in a future visit. 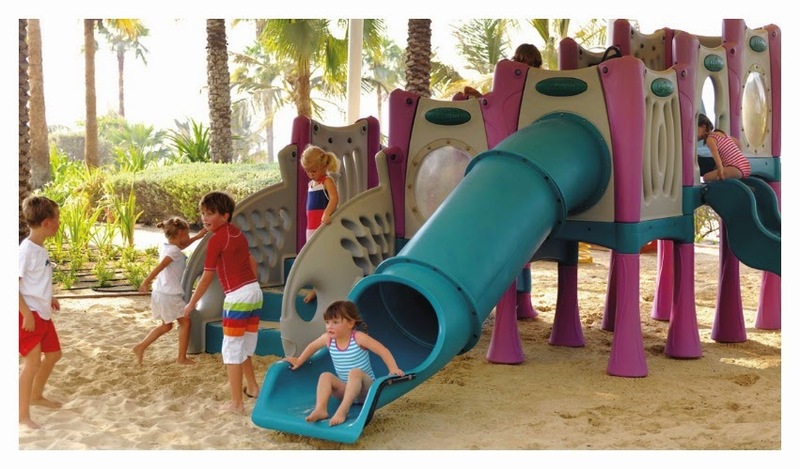 The resort is a perfect balance of child friendly play areas with relaxing setting for adults to enjoy the panoramic views of the Gulf and unwind. " We have crafted experiences that offer plenty of family time but also allow children to participate in fun, educational activities and adults to kick back and enjoy the beach, service and the sumptuous food. From our sunset ritual, which unites the whole family, to Ritz Kids, which is designed exclusively for our youngest guests, it is a destination for the whole family,” said Raul Salcido, General Manager, The Ritz-Carlton, Dubai. " 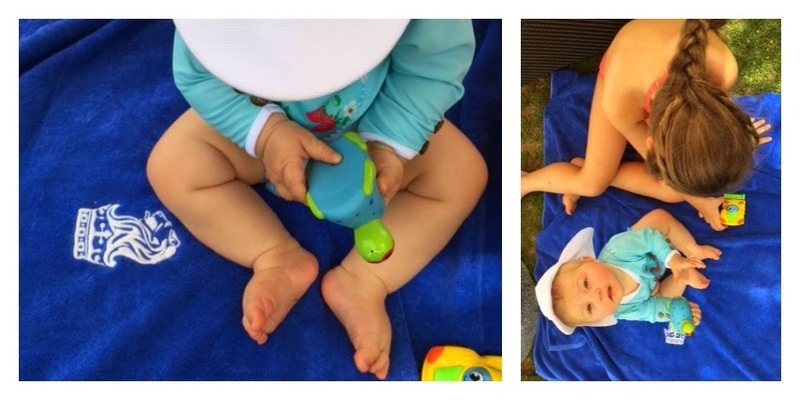 While children make new friendship and explore The Ritz Kids, mum and dad get to soak up the sun and enjoy some grown up time at stylish outdoor bar The Baie Lounge. 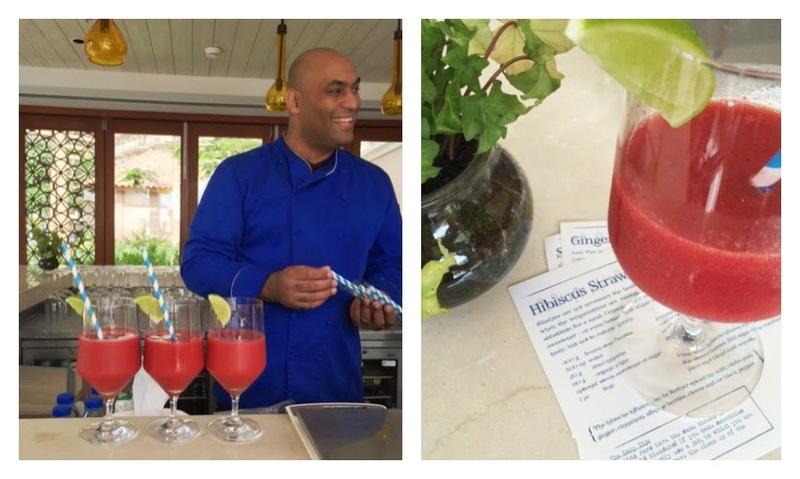 I had the chance to learn a few tips and new cocktails ideas with our friendly barman. The last hour of the day should be spent on the beach gazing at the sunset while the little ones run around in the sand. - perfect way to end the day. We love Dubai! Thank you Ritz Carlton for your hospitality and making our family day special. - Day pass to use the hotel's pool and beach facilities, Spa facilities, Gym, Ritz Kids Club is at AED500 per adult and AED300 per child (4-12 years old) from Sunday to Saturday. 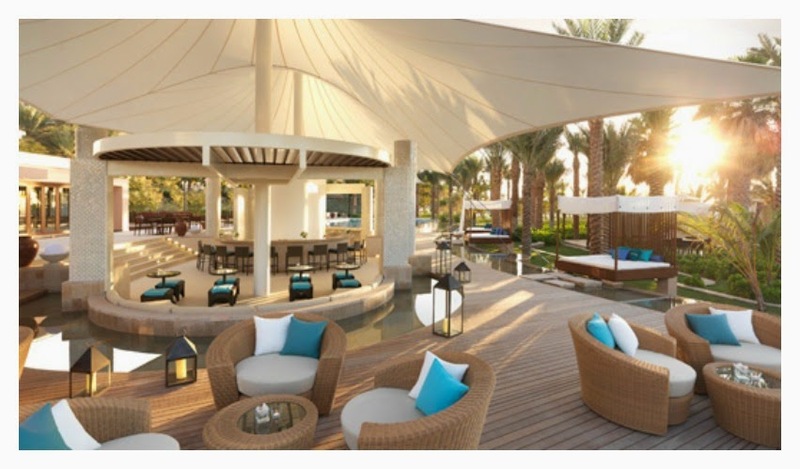 - A special rate of AED750 per couple is offered. - On Friday, when guests book a "Rotisserie Friday Brunch", a special half day pass rate of AED200 and AED100 per child is available.